We strive to always give our esteemed clients quality services that meet the highest standards across the board. Geowells international limited is committed to supplying a competent lineup of downhole drilling tools and machinery. These tools are available for sale and also via leasing agreements. We pride ourselves on providing modern, state of the art equipment to tend to various drilling needs. We are an authorized distributor of quality deep hole drilling tools that include the following. Make sure to check our site for the full list of tools that we offer. Here at Geowells International Ltd, we specialize in drilling for water, minerals, geothermal products, oil, and gas. Our experts are able to define the source, depth, magnitude and overall feasibility of water aquifers, and drill high-volume wells suitable for supplying water to government agencies, industrial and agricultural customers. Our Mineral Exploration teams extract contaminant-free samples that accurately reflect the underlying mineral deposits. We also drill deep injection wells to facilitate the disposal of treated wastewater. For any drilling need, we make safe, environmentally sound and socially responsible decisions at all times, and achieve the desired results for each and every project. Horizontal directional drilling, mining and water well drilling. We take MWD monitoring to a whole new dimension by investing in state of the art drilling technology. This technology provides surveys on demand, unmanned surveys, and remote access capabilities thus reducing survey times and eliminating the expense of on-site personnel. 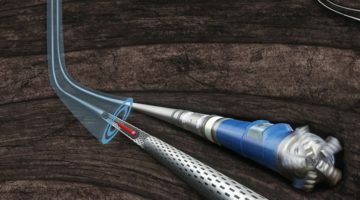 Remote drilling technology provides the ability to send out pre-collar loaded MWD tools and also the ability to receive and log surveys, gamma ray readings, or any other information from a remote location thus significantly reducing the amount of on-site personnel while maintaining and even enhancing the quality of service. The NVADER system offers a robust pulsing system able to withstand the most concentrated LCM environments with a simple interface to allow for unmanned operations. The downhole survey system eliminates the need for boots on the ground and allows rig personnel to operate the tool quickly and efficiently in a vertical drilling environment. NVADER is capable of transmitting INC, AZM, tool faces and gamma-ray data. Geowells International Ltd has a diverse wealth of experience in onshore drilling that enables us to adapt to the ever-changing industry. With the most modern technology, we are able to adapt to extreme drilling conditions including high temperature and high shock and vibration environments. Managing and maintaining wellbore integrity is integral to operational efficiency. Our qualified and experienced personnel uses modern technology and well-revised practices to optimize drilling performance. Geowells International Ltd offers a variety of services to maximize drilling performance for maximum efficiency. The above services facilitate real-time drilling adjustments in order to increase the bottom time. Central to all this is reduction non-productive downtime and implementing processes to mitigate unplanned future events thus increasing efficiency. As a market leader in directional and horizontal drilling within Kenya, we offer operation and safety training for MWD operators, directional drillers, and technicians. With little to no technical institutes that offer training to drilling professionals within the region, Geowells International Ltd has taken up a pivotal role in providing a hands-on training curriculum for employees within the field. The goal of the program is to provide a comprehensive training program consisting of theoretical and practical training and creating a competent and certified team of MWD operators. For existing wells with poor productivity due to depleting hydrocarbon or water levels, we offer sidetracking operations to tap into better productive zones. The original wellbore is plugged back and deviated or alternatively, horizontal drilling is used to drill into a new lateral wellbore to install a new productive well or in order to tap into a nearby productive zone. Stray or damaged equipment or debris, otherwise known as “Junk” or “Fish” must be retrieved through a fishing operation using specialized tools. During fishing operations, no drilling or workover operations can take place. Therefore, it is important to invest in the right fishing tools or contact qualified fishing experts, (us), in order to reduce nonproductive time. We offer fishing services during all the stages of the oil and gas lifecycle, that is, Exploration, Appraisal, Development, and Production. Here at Geowells, the integrity of our client’s well is of utmost concern to us. Therefore, initial stages of well preparation are subjected to intense scrutiny by our team of qualified engineers and contractors. Precise well placement is crucial in improving long term and short term performance of wells. 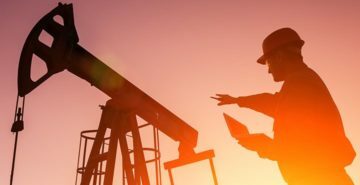 Advanced measurement technologies and data interpretation ensure that the well is placed at the most optimum pay zone to maximize hydrocarbon recovery, postpone water production and extend well life. Through geosteering, fracture identification, seismic prediction of hazards and pore pressure, we are able to drill land wells directly on target. Through geosteering and geostopping service, we ensure that we keep wellbores within reservoir sweet spots and ensure reservoir boundaries are within optimum positions. Geowells International Ltd has a team of skilled casing experts with vast experience in running casing and tubing in a range of materials, threads, and configurations. Safe and efficient operations are the basis for a successful casing or tubing job. Geowells International Ltd has a complete line of casing and tubing handling equipment for jobs ranging from 2 3/8” to 13 5/8” and string weights of up to one million pounds (453.6 tons). Compensations are available for thread profiles sensitive to weight during connection makeup. Computerized connection makeup service is available when requested whereby a digital signature of each connection is recorded and it documents proper makeup profiles. Geowells International Ltd has a preventive maintenance program to ensure equipment and instruments are maintained and calibrated to the highest standards. Only Original Equipment Manufacturer parts are used in our equipment thus ensuring utmost quality and reliability. Subsurface Pumping: Subsurface pumps on onshore oil producing well and water wells have a finite lifespan and need to be routinely repaired or replaced. Remedial Cementing: This is done frequently to shut off water or unwanted gas production. Tubing Replacement: Most workovers require the production tubing string to be pulled from the well. As a result, production tubing needs to be replaced as part of the workover process. Re-completion: Downhole completion hardware is exposed to materials such as corrosive water, sand, shale, tar and wax which clog and damage equipment. Re-completing a well may mean extracting the hardware and repairing or replacing it in part or in its entirety. Alternatively, well conditions may change over time or technology may improve necessitating removal and replacement of current hardware on the ground. Well Cleanout: This entails the removal of debris, sand, scale and organic materials from a well to improve the flow of hydrocarbons or water to the surface. These contaminants may decrease production I not cleaned out periodically. We also do additional perforations or re-perforation of wells.